If you have been scouring the internet, poring over reviews of the best types of collaborative desks, you are not alone. 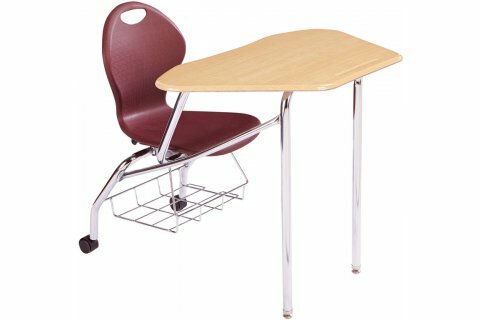 Any teacher, principal or administrator charged with replacing worn out school desk with the latest and greatest in classroom furniture wants to make sure they are making the right choice. Opportunities to purchase new classroom furniture don’t come around every day, and that is why making sure you choose the best type of collaborative desks for your classrooms is so important. What are the best types of collaborative desks? Obviously, the best choice will depend on a number of personal preferences and needs, however there are some features and considerations which make sense across the board. For example, one of the unique aspects of collaborative desks is that they are designed to fit together in various configurations. 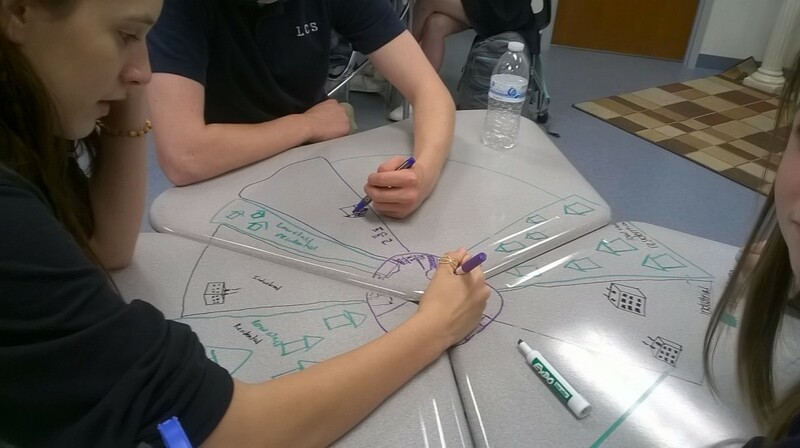 So, if you plan on moving desks around to achieve these configurations, you probably prefer not to have students dragging them across the floor. Choosing desks with either two or four casters makes it so much easier to achieve different layouts. With two casters, you can do a wheelbarrow-style roll, where you lift up the side of the desk without the casters, and steer the desk into position. It might take some practice for students and teachers to figure out the most efficient way you arrange the space, but after some trial and error, the members of your class and educational team will become fast pros at rolling desks into place. Unity Collaborative Chair Desks give you all of the benefits of a combo desk, with a collaborative shape. The two casters on the back legs, allow just the type of wheelbarrow-style movement mentioned above. Just like any other school desk purchase, it is also important to pay attention to materials and construction. With all of the cool new models out there, it is easy to fall in love with something that looks great, but that doesn’t mean it has the durability you want. Make sure you make a conscious choice about work surface and frame materials, as well as the construction, especially connection points between the tabletop and the frame. If you are looking for a the most budget-friendly option, a desk with a laminate work surface will fit the bill. However, if you have more room in your current budget, and you want to make a more long-term investment, the increased durability and appeal of hard plastic is definitely worth the investment. 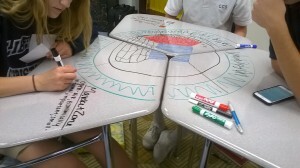 Knowing how to use collaborative desks properly is extremely important. After all, if you are looking for a way to make your learning space more versatile, the best place to start is by taking advantage of the flexibility of your furniture. Collaboration desks can be used just like individual classic school desks, or they can be put together perfectly in various configurations, depending on the specific shape. The size of the learning cluster will depend on the specific model that you choose. With models like the Balt Shapes Desks, which has concave and convex sides, there are so many configuration possibilities, that you can create a cluster in any size or shape. Many educators also like desks that fit in a perfect circle like the Team-It Desk from Paragon, because they create the perfect layout for a teacher who wants to work with a small group of students. What is the best shape for a collaborative desk? There is no one objective answer to the question of the best shape for a collaborative desk. It all depends on what type of learning clusters you prefer. In order to decide on the ideal style, you have to first think about how many students you want to sit together in a cluster, and whether you want them all facing each other, facing the teacher, or some other option. Once you figure out how many desks you want to put together (and this can include clusters with a few different numbers of students), you can look for shapes that work with those numbers. Additionally, it is important to look at pictures of the collaboration desks you are considering buying, as they are arranged in clusters of various size, to get and idea of what they will really look like when pushed together in a classroom. Taking the time to research the best types of collaborative desks is definitely a worthwhile endeavor. While at first the choice might seem daunting with all of the options out there, a little bit of research can really help you narrow down the choices based on price, configuration and style. The right collaboration desks will truly transform your learning space into a center of teamwork.